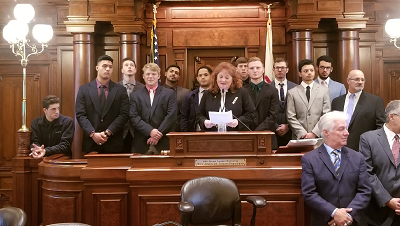 SPRINGFIELD – State Senator Laura Murphy (D-Des Plaines) welcomed several new members to the Senate today after their inauguration into the 101st General Assembly. Despite the enthusiasm, Murphy recognized the need to take things slowly. The 101st General Assembly will serve until January 2021. 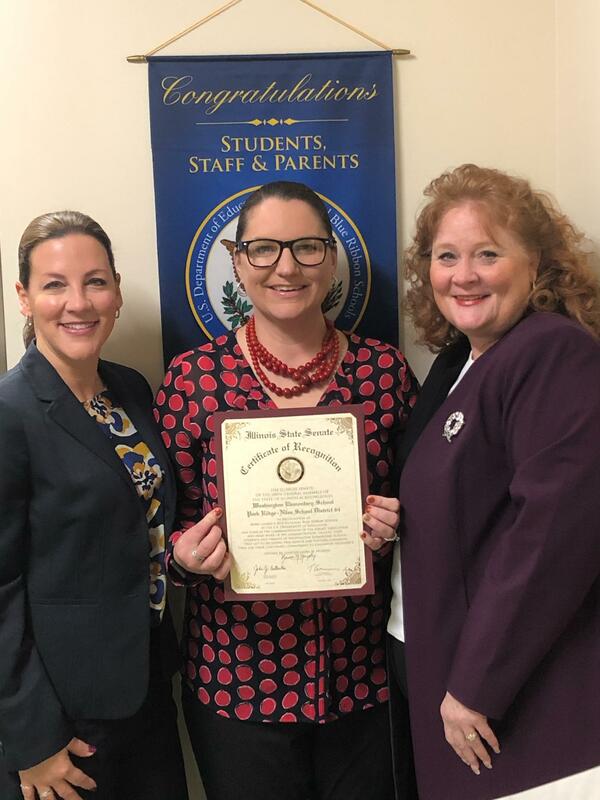 DES PLAINES – State Senator Laura Murphy (D – Des Plaines) was at George Washington Elementary school in Park Ridge Tuesday to present the school with an official Senate recognition honoring the district for being named a 2018 National Blue Ribbon School by the U.S. Department of Education. The National Blue Ribbon Schools program was started in 1982 as a way to recognize public and private elementary, middle and high schools that either promote a high level of academic excellence among their students or exhibit signs of positive progress in closing achievement gaps between subgroups of students. George Washington Elementary was one of 349 schools named to the program in 2018 by Secretary of Education Betsy DeVos. George Washington Elementary was the only public school in Murphy’s district to be named to the National Blue Ribbon School program in 2018. In total, 24 schools in Illinois received the honor this year, and over 100 Illinois schools have received it since 2013. “I am thrilled that Pace and Jewel-Osco were able to expand this service after Garland’s passionate advocacy for the larger disabled community,” Murphy said. The new location is a Jewel-Osco store, located at 1500 S. Lee St. in Des Plaines. 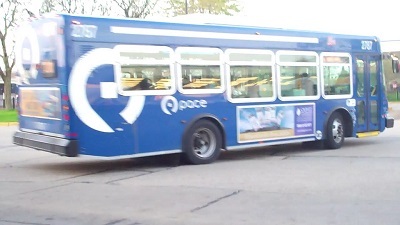 The ADA Paratransit tickets are sold in books of 10 for $32.50 and may be used on ADA Paratransit service throughout the Chicagoland area. SPRINGFIELD – State Senator Laura Murphy welcomed the Oakton Owls baseball team to Springfield on Wednesday. The Owls were the 2018 National Junior College Athletic Association Division III World Series Champions. "The Oakton Owls baseball team is a story of success and perseverance," Murphy (D - Des Plaines) said. 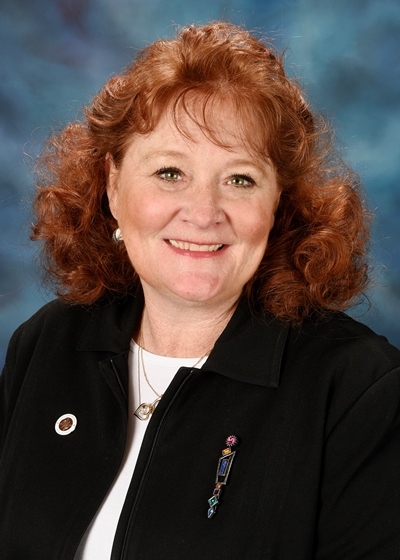 "They truly exemplify what it means to be an Illinoisan, and I'm proud to represent Oakton College as the State Senator for the 28th District." The Oakton Owls defeated Tyler Junior College to win the championship. They had gone 44-17 in the regular season, which is the best record in school history.